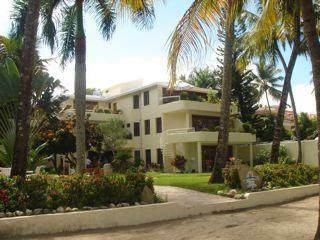 This beautiful beachfront apartment is located in the heart of Cabarete where you can enjoy the wide variety of restaurants, shops, supermarkets and all other amenities at your fingertips. Overlooking a large tropical garden, white sandy beach and the Atlantic ocean! This is paradise!